The next Sourcing-Innovtion sponsored cross blog series on “What I Learned From Conference Season” starts next Monday – May 26, 2008. If you have not received an invite and would like to guest-post on this blog, please contact me at thedoctor <at> sourcinginnovation <dot> com. Unlike previous cross-blog series, this theme is open. The goal is to have the leading bloggers and guest bloggers identify what they think are the most important topics, issues, and messages discussed and delivered in this years conference slate and pass those messages on to you, dear reader. Collectively, we’re going to define what’s coming next and what practitioners need to do to prepare for it! It’s become pretty clear to me of late, with the less than spectacular work coming out from some of the vendors and traditional publications, that us bloggers need to be the ones moving the space forward – and I’d like to think we’re up to the challenge! As usual, I’ll be cross-indexing all of the posts that appear on the other blogs in the space for your conveinence. This entry was posted in Advertisement, Conference Season, Miscellaneous on May 23, 2008 by thedoctor. 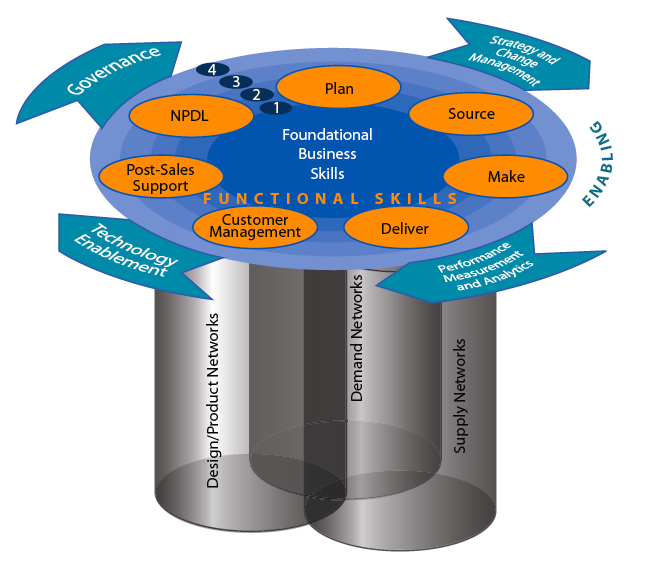 In our last post, we discussed the conclusions drawn by AMR in their survey of 198 organizations to assess the state of the supply chain management discipline, identify key requirements to support a demand-driven curriculum, and construct the first functional talent attribute model (which can be downloaded from the Supply Chain Council). Today we’re going to discuss their new talent “model”. 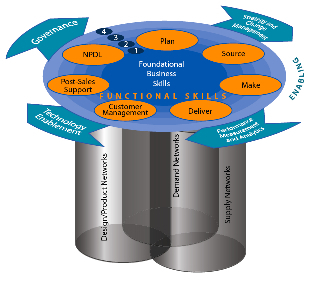 “Model” is in quotes because I don’t know if “model” is the name for an intersection of seven (7) “functional” talent stations across four (4) “enabler” talent stations supported by three intersecting “networks”. Myself, I’d be tempted to go with “mess”. Take a look for yourself (and select the thumbnail to enlarge). 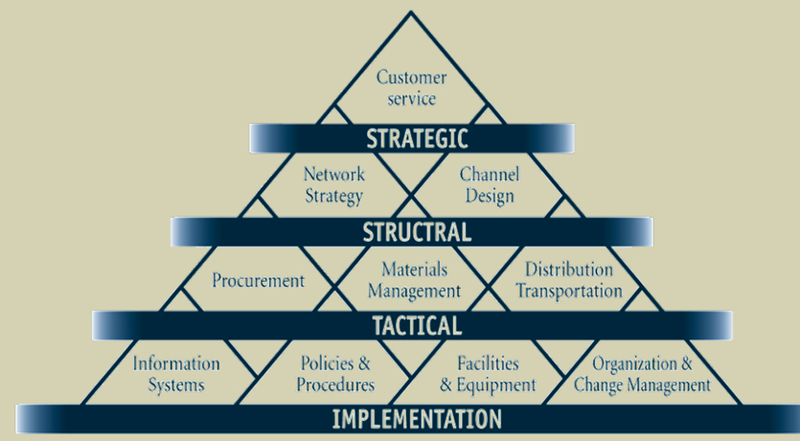 And although all of this (and much more) is necessary, I think a layered model, that separates supply chain functions from supply chain technology, and that allows users to dive in on different areas of expertise, is needed – because not everyone needs to acquire such a broad understanding (and this is important because not everyone will be able to). 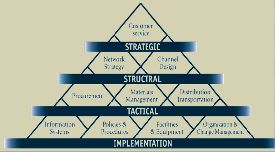 Maybe something similar to what The Logistics Institute, which breaks the state of affairs down into a strategic view and process flow, is proposing. Although it’s arguable as to which model is more complete, the model from The Logistics Institute is easier to understand, and right now, I think that’s key. This entry was posted in Talent, Training on May 23, 2008 by thedoctor.